PGIMER Nursing 2019 Exam Date has been Revised. PGIMER is commonly known as Post Graduate Institute of Medical Education and Research. 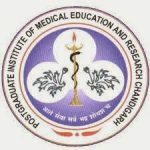 Post Graduate Institute of Medical Education and Research is the conducting authority to organize the entrance exam for the eligible applicants every year with an aim to provide the opportunity to get admission in B.Sc. Nursing courses. The entrance exam is conducted every year for the applicants. Applicants who wish to get admission in B.Sc. nursing courses in different universities need to appear for the entrance exam. And in order to get admission in the nursing courses, applicants need to refer to the official website of the university and get complete details of the important dates, eligibility criteria, application form, exam pattern, etc. PGIMER Nursing 2019 Exam Date has been Revised. Click Here to Check Exam Details. Conducting Body PGIMER (Post Graduate Institute of Medical Education and Research). Applicants will get the application form in online mode on the official website of the university itself. In order to appear for the entrance exam, it is important that the applicants fill the application form and submit the form. Applicants must make sure that the applicants submit the duly filled application form before the due date in order to avoid rejection of the same. Application forms received after due date will not be considered by the official authorities. Applicants will get all the information about the application form from the authorities in online mode on the official website of the university itself. Before filing the application form applicants are instructed to read carefully all the instructions related to the application process. For the reference of the applicants, all the instruction regarding the application process will be mentioned on the official website of the university. Applicants also need to upload some important documents and pay the application fee. Once the application fee is paid and application form is filled properly applicants need to take a printout of the duly filled application form. After that applicants need to submit the duly filled application form on the official website itself. Applicants who belong to general category need to pay Rs 1000/- as application fee. Reserved category applicants need to pay Rs 800/- as application fee. 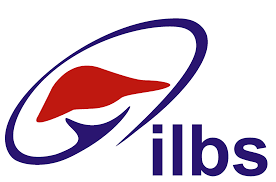 Applicants need to pay the application fee by challan in any branch of SBI. Applicants who are female are only eligible to apply. One must have passed HSC exam or any equivalent exam from a recognized board. Applicant must have completed HSC exam with PCB and English subject. Minimum 50% marks must be secured by the applicant in the HSC exam. Such applicants are also eligible. Applicants must be between the age of 17 years to 25 years in order to apply. Authorities will conduct an entrance exam in offline mode. Objective type questions will be asked in the exam. 100 questions of 100 marks will be asked in the question paper. One mark will be awarded for each correct answer. An incorrect answer will reduce 0.25 marks. Official authorities will be responsible to disclose all the information about the syllabus for the preparation of the entrance exam for the reference of the applicants. Official authorities will release admit cards of the applicants in online mode only. That means applicants need to visit the official website of the university and download the admit card. Applicants must keep some copies of the admit card for future usage. Admit card is an essential document to carry at the time of entrance exam along with a valid Id proof. 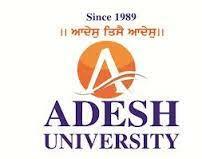 Details of the applicant, exam and some instructions related to the exam are mentioned on the admit card. Applicants can check the results of the entrance exam in both online or offline mode. Authorities will announce the results of the entrance exam on the official website of the university as well as on the notice board of the Bhargava Auditorium of PGIMER, Chandigarh. Applicants will be able to get the results in the month of June 2019. After the declaration of the results, the authority will prepare a merit list. Merit list will be updated on the official website of the university. Merit list will be based on the marks secured by the applicants in the entrance exam. On the basis of the merit list, applicants will be called for counseling round. In the counseling round, applicants will get admission to the university. Once the verification is completely done applicants will get admission in the university. For any other queries about PGIMER B.Sc. Nursing 2019, you can leave your queries below in the comment box.